This is the craziest weather event we've seen since Irene and, in some cases, it's causing far more destruction than did Irene. This morning, the Lamoille had already caused some heavy flooding West of Johnson, with parts of Jericho, Underhill and essex in pretty bad shape. The crazy thing is this is not close to over yet and we could still see a couple more inches of rain in the valleys and several inches of snow at higher elevations! Every piece of moving water both big and small is now a raging torrent so use your heads out there! If you noticed the F&W stocking trucks out in the Lamoille Valley yesterday you definitely were not hallucinating. They were actually out stocking the Lamoille yesterday even though the river was an absolute muddy mess! Not sure what's going on there, but we've had over a month of ideal stocking conditions leading up to this rain event. We here at the Troutfitters are 100% in support of expanding what little protection we have for our wild fish populatiuons in Vermont. However, a HUGE % of the fisheries budget goes directly into raising and stocking these fish, and I absolutely hate seeing $ wasted. 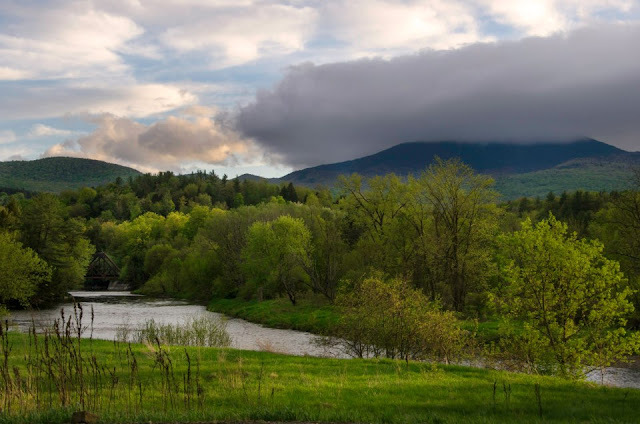 So all in all, if we're going to dump hundreds of thousands of dollars into put'n'take fisheries vs. spending that money improving and protecting our wild trout fisheries, let's not wait until May 23rd to stock a major drainage like the Lamoille. All the more reason to show up for next week's regulation hearings and ring in!